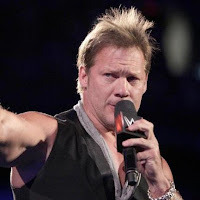 - Below is a new WWE Now video with Cathy Kelley looking at Chris Jericho's return to the ring in the 50-man Greatest Royal Rumble match in Saudi Arabia on April 27th. The match currently features Jericho, Elias, Kurt Angle, Baron Corbin, Kofi Kingston, Big E, Xavier Woods, Apollo, Titus O'Neil, Shelton Benjamin, Chad Gable, Sin Cara, Goldust, Mojo Rawley, Dolph Ziggler, Daniel Bryan, Kane, Big Show, Braun Strowman and Bray Wyatt. - Monday's post-WrestleMania 34 WWE RAW ranked #1 among series & specials for the night in Nielsen's social media TV ratings. RAW had 3.729 million total interactions this week - 437,000 on Facebook, 2.686 million on Instagram and 606,000 on Twitter. This is up from last week's RAW, which drew a total of 1.751 million interactions - 393,000 Facebook interactions, 1.092 Instagram interactions and 266,000 Twitter interactions.